To Dog With Love: Fido's Freebie Friday Takes a Walk in the Park! Fido's Freebie Friday Takes a Walk in the Park! Did you know that this Sunday is National Take a Walk in the Park Day? Check back tomorrow for more on that, including another great giveaway that will help you enjoy your park walk with your pup even more! 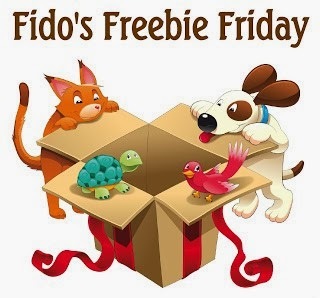 In the meantime, and while you're not out walking, it's a great time to check out Fido's Freebie Friday! Check out the great selection of this week's giveaways in the Blog Hop below. You can enter them all or add your own! We make it easy by linking them up all in one place. We should do a giveaway every Friday. Seems like a lot of work though. You can do a giveaway and link up any day! It doesn't have to take a lot of time, but some do. OR you can just enter them all! Good luck!